Every time I pass this sign, I wince. They sell children’s clothing. Maybe this is just my problem. “Candy store” here is like “coffee shop.” It doesn’t tell you about the particular kind of business, merely that candy or coffee is among the many things they sell. 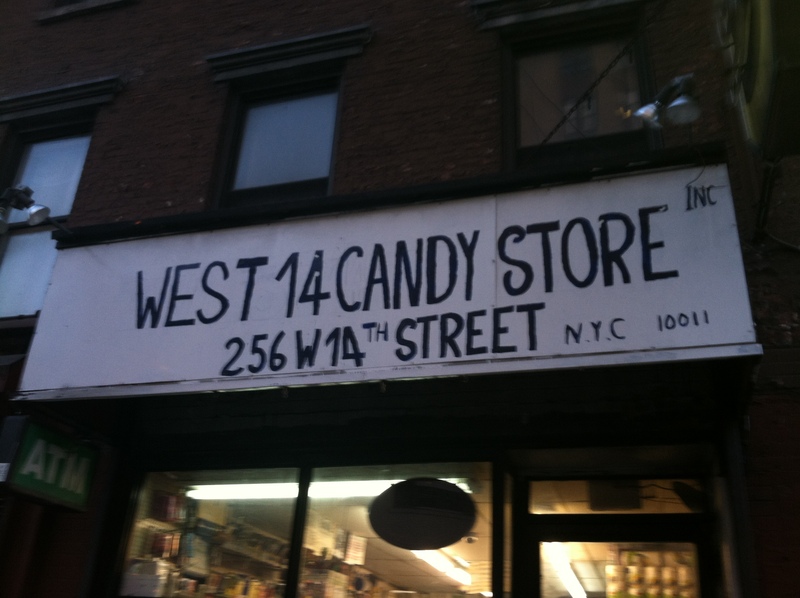 Many of the so-called “candy stores” seem to primarily sell cigarettes. I always enjoy hand-lettering, though. In 2014. What the hell. 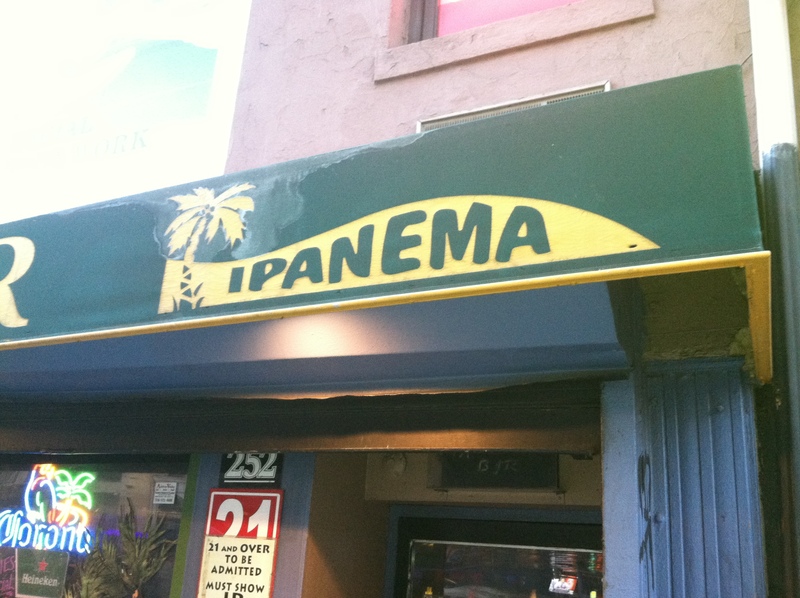 Once upon a time, I received a CD that had one million different versions of ‘The Girl from Ipanema” on it. I can’t say that I played that CD a great deal, but then, I doubt that mine (also covers) was played much either. I’ve never been to this place. They have a nice sign, though. It took me many times walking past this place to notice that part of the sign was pasted over to make new words. 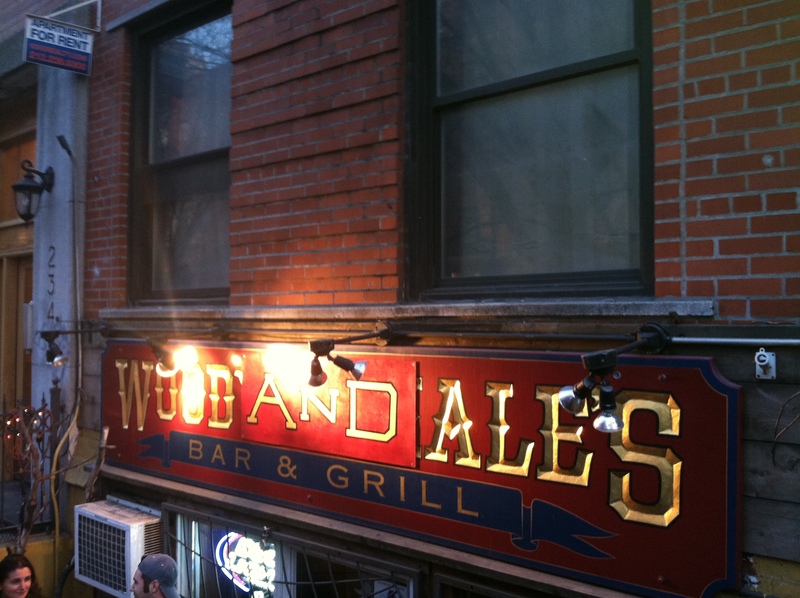 The AND is in the middle now, so it used to be WOOD_ _ _ ALES, and now it’s WOOD AND ALES. 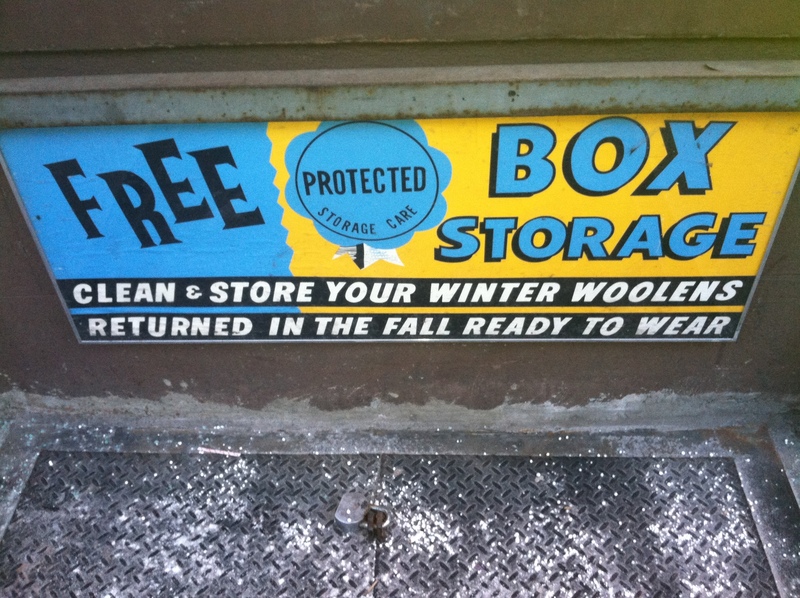 I’m a big fan of the signs of dry cleaner’s. Like mechanics, they rely heavily on stock images that are goofy. This isn’t a stock image, no, but it is a lovely example of signage: great fonts, great color, an old-fashioned, meaningless seal of approval. This photo is a bit more impressionistic that I’d like. But you know the photo quality here is… negligible. This is a furniture store which offers both bold chunks of bright color and some nice fonts that you can’t see in this shot. I remembered walking past this place from my Summer of Suffering, that is, last July when I was busy Moving to New York, aka, not doing much and trying not to spend much money doing it and sweating and waiting for my crystal-loving landlady to get affected by her feel-good crystals. Cheating here. This is on my way to the Y. 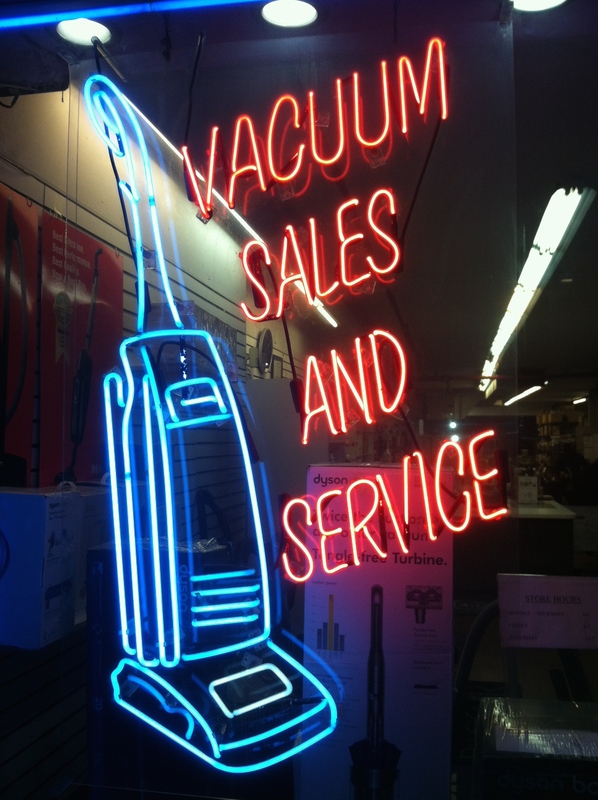 The best neon in Kansas City is a dry cleaners. (I told you they were great.) Of course I haven’t had time to research enough neon out here. I am a big fan of the Radio City neon, the colors are so tangy. This piece is nice color, but also wonderfully fashioned lettering and such a well-formed vacuum cleaner, shades of Rosie (the robot, not the riveter).